College is the best of times and the worst of times. Close friends, bad food, and memories to last a lifetime. 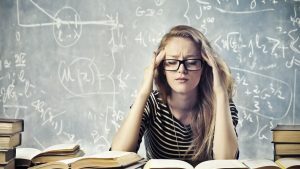 College is also a ton of work whether it is yet another essay, pages of homework, or staying up all night finishing a group assignment that you have not started until that night, the workload is more than enough to cause stress. Here are five easy and helpful tips to see next semester with gratitude instead of attitude. Keeping everything clean and easy to find is a simple way to experience less stress. Buy a binder or folders to keep the classes separate and to have a central location to put all of the papers. It also may be worthwhile to buy a planner or to use the calendar on your phone to remind you of assignments. Find what works best for you and invest in organizing yourself. Same goes with your computer. Create folders on your computer to have a location to save to when you are working on something digital. No more putting everything in your downloads and searching for the date modified instead of the arbitrary title you named it. Studying can be boring and monotonous at times but try different studying methods to boost your morale. The Pomodoro Technique is the one I use which is to put a timer for 25 minutes and with zero distractions, you start your work. Go at your own pace but make sure you have everything on do not disturb so nothing will tempt you to sway away from work. After the timer goes off, you have five minutes to do what ever you need to do and then set another 25 minutes to work. This allows you to be efficient with the time you are offering yourself and still have some time for cat videos. For your own mental sanity, set aside time to work and play every day. Have a goal in mind and when that is complete, go reward yourself with doing something you love. Psychologically, a reward system to finishing work provides the great benefits and little residual damage from the labor. Getting the heart pumping can be a great way to relieve stress when college has you down. 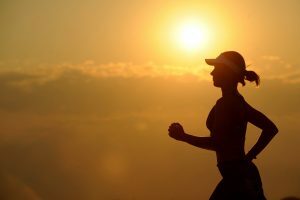 Going for a run, lifting weights, or dancing for a period of time can help to reset your mind and body to attack the day with relentless optimism. Not to mention it regulates your sleep cycle, metabolism and energy. Would it not be great if you did not have to drink four cups of coffee throughout the day? Exercise may just be the answer you are looking for to obtain more energy for your day. Simply breathing can make a world of difference for your mindset. Meditating every day can provide positive benefits such as an increase in happiness, self-awareness, and concentration. It also decreases stress, anxiety, and aging. “Meditation is mind without agitation,” Narasimhan says. When it comes to stress, we could all use a mind without unnecessary turbulence. Reminding yourself what your purpose is and aligning your values through breathing often can make your motivation unstoppable. If you do not have time for simple meditation, get credit for it. Most Universities have stress management courses offered in their curriculum. 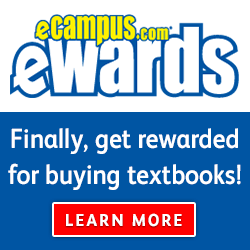 The class is an easy three elective credits and truly does assist you in your college journey. Look for it under the social work category of classes. I know this sounds a little counter-intuitive. 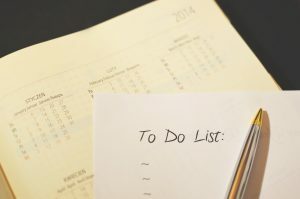 Getting less time to do more work? Sleep holds amazing benefits that we have grown to forget. The simple method here is to be more productive, sleep more. 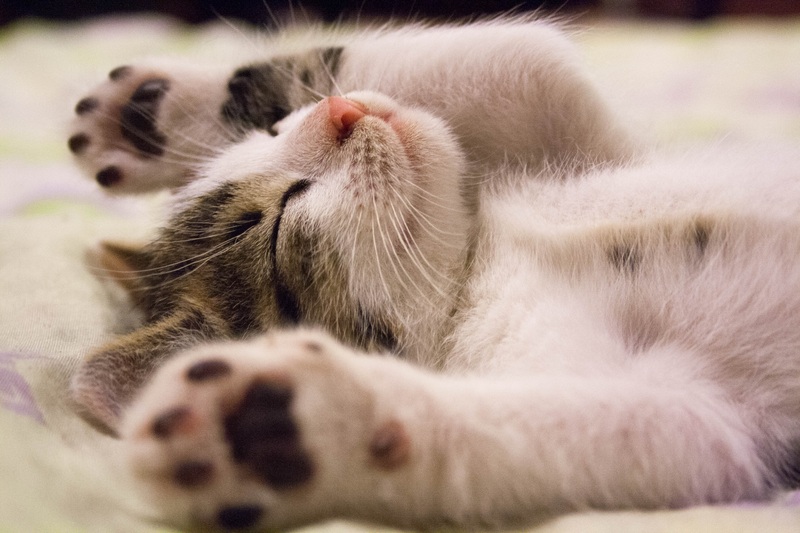 When we lack sleep, our quality of work decreases. You may be doing a lot of work but probably not a lot of quality work. There are serious health problems with sleep deprivation such as trouble concentrating, high blood pressure, risk for diabetes, risk of heart disease, weakened immunity, and weight gain. Basically throwing all the benefits of meditation and exercise away because you are not sleeping enough. Take the time needed each night and get a full eight hours (or as close to as you can) of sleep. Tiredness is not a trophy and it is something we should not be striving for. This one is easy. Every person has their form of art be it painting, drawing, playing an instrument, cooking, or underwater basket weaving. Setting time aside every day to mastering your craft is a fun way to relieve stress and increase overall well-being. 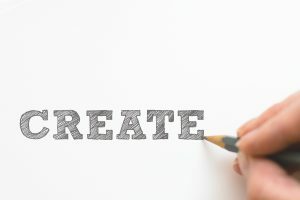 According to a 2016 study published in the Journal of Positive Psychology, engaging in just one creative activity each day can make you more likely to feel “energetic, enthusiastic, [and] excited.” It goes on to say, “Overall, these findings support the emerging emphasis on everyday creativity as a means of cultivating positive psychological functioning.” There you go, science has now supported the idea of creating art for clear benefits. Get working and create something beautiful. College is an adventurous odyssey filled with self-discovery and a metric ton of ramen noodles. It is a lot of seemingly unnecessary work and stress but it is all worth it in the end. Hopefully with these simple methods of stress management, college will be more of a positive experience. Part of being a college student is constantly dealing with an influx of stress. Unfortunately, this influx is rarely paired with helpful coping mechanisms for overcoming it. I’ve yet to have a professor hold an instructional yoga class before an upcoming exam. In most situations, we’re forced to find our own methods for stress relief. When you’re already experiencing stress and anxiety, finding a solution in the moment to overcome it is a challenge. However, I recommend one mechanism currently showing great promise: Achieving mindfulness. Mind over matter. We’re often confronted with this mantra when our will power is in question. When we’re studying for a chemistry exam but expecting to fail, mind over matter. When we’re tempted to stray from our diet, mind OVER matter. When you have a cold on race day after foolishly signing up for a second year of cross country despite knowing you struggle with running… mind. over. matter. What does mind over matter really mean? To break it down, matter is the situation you are confronted with; the cross country race, the exam. The mind is yourself, or your thoughts and feelings. Ashumans, we’re constantly thinking and assessing everything happening in the spectrum of our existence. Mind over matter is the notion that if we can get a grasp on our minds, then we can overcome the matter in front of us. If I will myself torun and finish the cross country race, then I can. 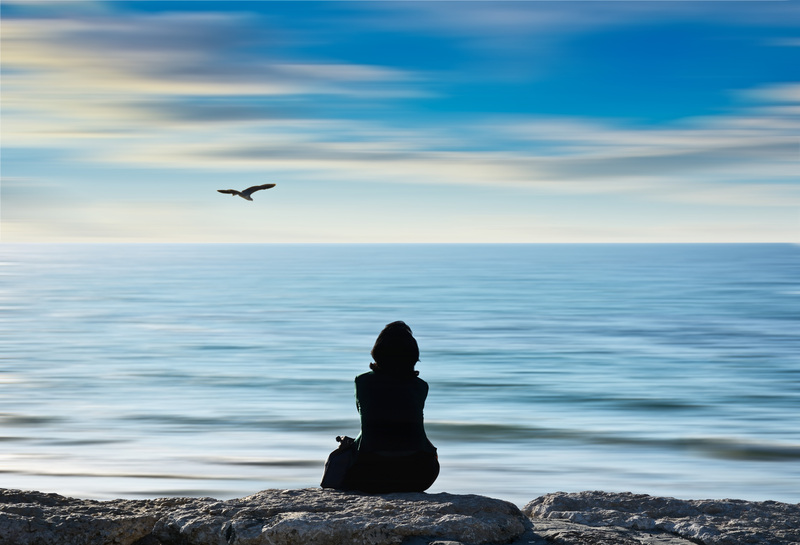 Mindfulness is a growing interest in the field of psychology. Where tactics like psychoanalysis and cognitive behavioral therapy once reigned, mindfulness now conquers. 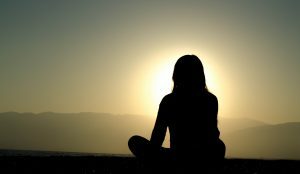 In psychology, mindful meditation is a practice intended to combat the negative effects associated with disorders such as depression, anxiety, and post traumatic stress disorder. Hopelessness, stress, and neurotic feelings are some of the many negative effects it can help reduce. In contrast, cognition, awareness, and attention can increase when one practices mindful meditation. Mindful meditation is a means to achieving mindfulness. Physiologist are sewing meditation into the foreground for treating psychological disorders such as depression and anxiety. A meta-analysis conducted by Eberth & Sedlmeier in 2012 compiled 39 previous studies on mindful meditation and analysed the results. The individual studies focused on how mindful meditation affects a person’s well-being, including their ability to concentrate on their thoughts. In this analysis, mindful meditation referred to the Buddhist practices Vipassana and Zen/Chan. 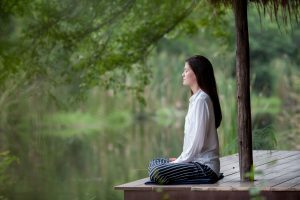 The results of the analysis showed that both mindful meditation, and even general meditation, led to positive increases in attention,mood and well being, and a reduction in anxiety. To employ the practices featured in the meta-analysis for achieving mindfulness, one must work towards self-awareness and focus the mind on present experiences. Concentrate on becoming open, curious, and accepting. Luckily, you can practice mindful meditation anywhere you find comfortable. You can chose to meditate in your dorm room, in the park, or in a quiet space on campus. This means mindful meditation accessible to everyone. There is no limitation to how you can meditate; we’re all very different. You can meditate in bed, while sitting down on a park bench, or even through exercise. Personally, I enjoy meditating while on a long run since I’m naturally fidgety. However, I acknowledge that most people tend to despise running. 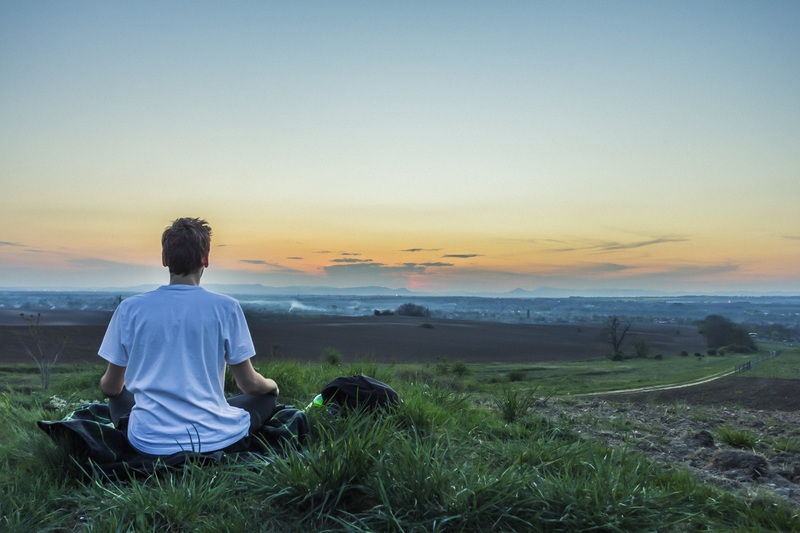 How you successfully practice mindful meditation will depend on your personality. Simply by setting aside time to focus on your thoughts and reflect, you too can achieve mindfulness. Are you new to meditation? There are quite a few online resources for those who haven’t meditated before. UCLA’s Mindful Awareness Research Center provides a variety of free exercises that provide instructions via audio guides. Additionally, Youtube has a great selection of meditation guides that are tailored to a variety of specific needs such as anxiety relief and help with sleeplessness. Stress from school is never pleasant. It also limits our ability to concentrate and work efficiently. Students who feel stressed or overworked may even turn to destructive behaviors such as binge drinking or illegal drugs, both of which are harmful to the mind and body. Mindful meditation provides easy access to stress relief in a safe and effective way. It’s also free! The next time assignments feel like they’re a bit too out of hand, take time to relax and focus your thoughts. Try practicing mindful meditation to gain control over your situation. You’ll quickly discover the benefits are endless! 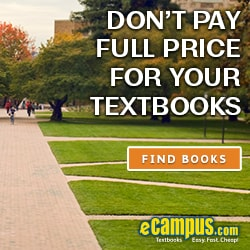 There are several universally accepted facts that apply to colleges all around the world. One that I recently experienced is the unfortunate truth that college dorms are huge breeding grounds for sicknesses. 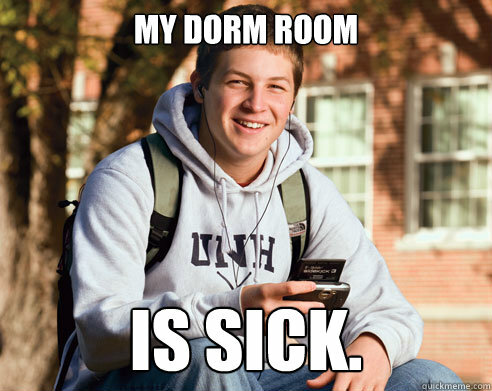 Whether it’s the dirty slob down the hall, or the fact that everyone is cramped into the same tiny space using the same showers, SOMETHING about college dorms spreads illnesses like wildfire. …not that kind of sick. Last year, my dorm hall was a very old, tiny building meant only for freshmen. Normally, I have a pretty good immune system. However, last year, I was forced to recover from two sinus infections, one case of strep throat, and about seven colds. The problem that I encountered was that if one person on the floor came down with some form of sickness, everyone else was soon to follow. Over the course of the year, I learned a few things to help stave off the impending illnesses of college. Almost every single day, the dining hall will serve some form of greasy, meaty, occasionally delicious food. I soon learned that if I also made myself a salad, or ate a piece of fruit with each meal, I started feeling better as a whole. Your immune system is programmed to fight off bugs, but if you don’t supply it with the necessary vitamins than it will not function properly. My university’s health services has medicines ready at all times to treat students with sinus infections, as they apparently are a very common occurrence here. The problem is that dorms, especially smaller ones, don’t have very good air circulation. So as the year goes on, dust accumulates in corners and crevices, and it tends to stay around. A great way to keep your sinuses clean and healthy is to start using saline spray. It’s cheap, you can get them anywhere, and they mostly only consist of salt and water. Using a saline spray once a day, or once every other day, cleans out sinuses and keeps them open. You’d be amazed by all the positive effects of drinking several cups of water daily. It helps keep you hydrated and it can also help flush out unwanted illnesses. Your body needs it to function, so don’t forget to stay hydrated. For the love of all that is holy, take out the trash. Hopefully you’ll take some of this advice to heart, and do yourself a favor when the next semester starts up. School is hard enough without the added difficulty of fighting off a cold or the flu. Do you have any health tips I forgot?